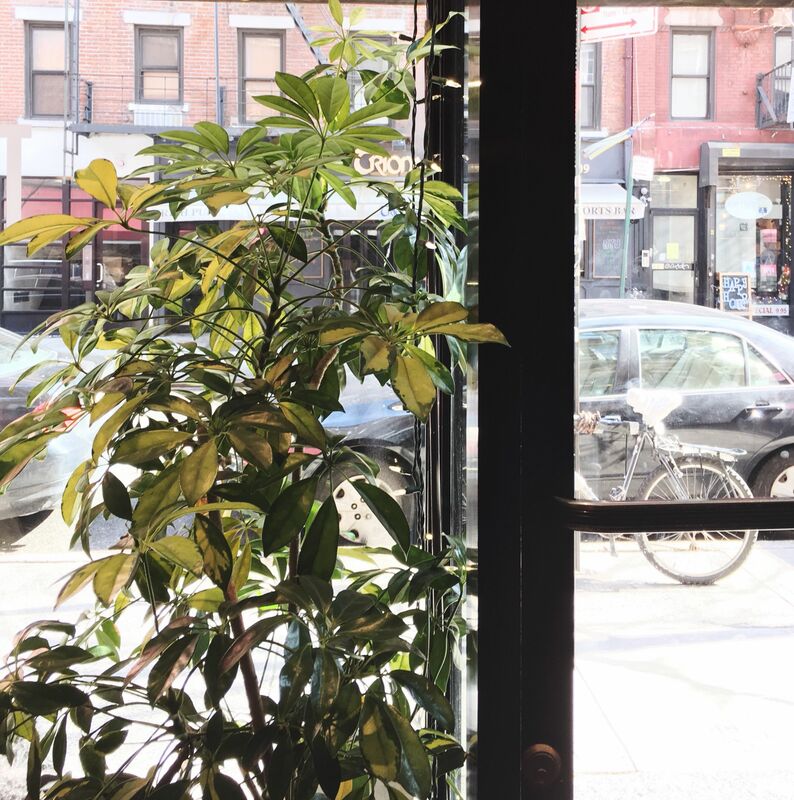 Greenwich village is full of so many different coffee shops, it's often hard to know where to begin. That is, when you finally feel brave enough to venture away from your trusted everyday spot. 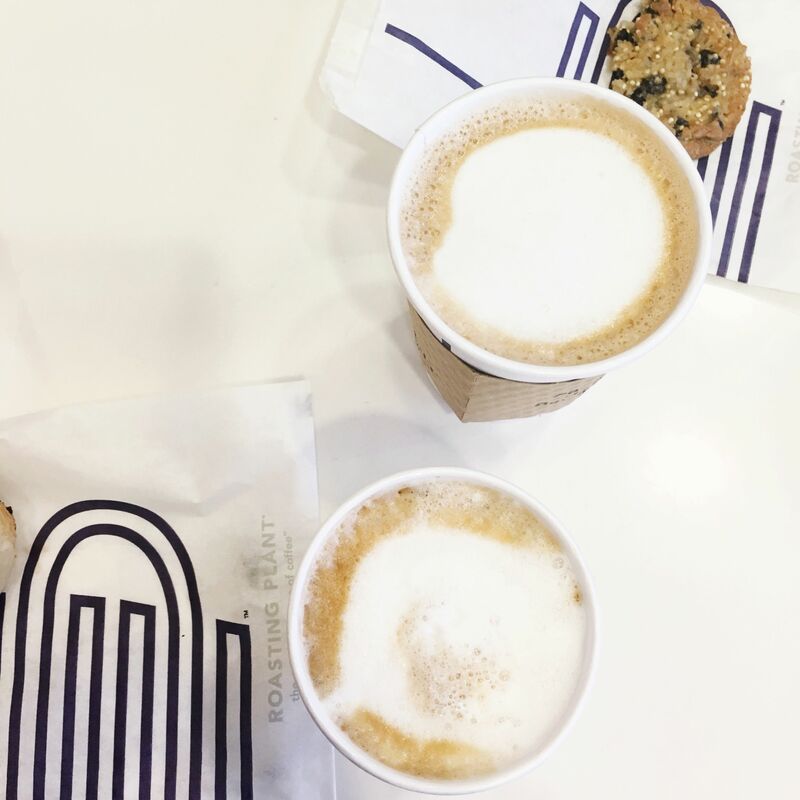 Thankfully, we have composed a list of the best coffee shops to try in Greenwich Village, which means you now have no excuse to not try experiment with your morning latte and avoid the seemingly never-ending line at the West 4th Starbucks. 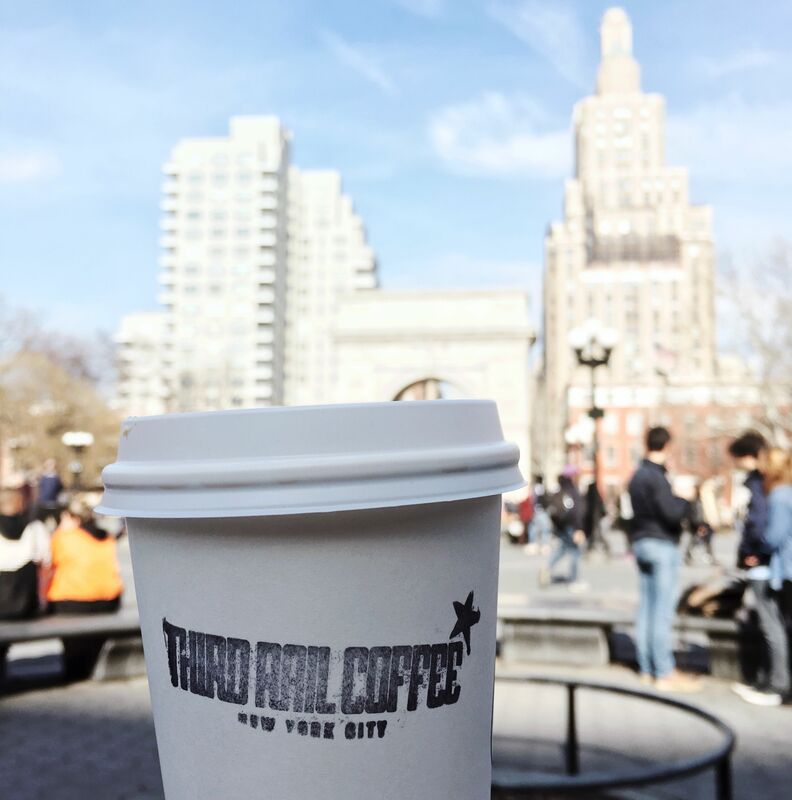 Third Rail Coffee is just a minute walk from Washington Square Park, meaning there is quite a big chance that you have walked past it every single day on your way to campus. You're forgiven though, because the size of the shop is so small it's practically hidden between the flower stalls and ice cream parlors of Sullivan Street. Don’t let the intimate size put you off Third Rail however, as though the shop may be small, it's filled with huge green plants, photographs, doughnuts and of course, great coffee. Or, if you just want to enjoy your coffee in Washington Square Park then remember, you can always get your coffee to go. What makes Roasting Plant Coffee unlike any other coffee shop in the village is that your coffee beans are roasted right there in front of you, meaning ‘Roasting Plant’ is quite literally, a roasting plant. It also means your coffee is always fresh and customized, however you might want it. So, for all of you who are particularly into the mechanics behind the coffee —sorry engineers who are all the way across the water in Tandon—this one's for you. Think Coffee is unmissable, both from this list and quite literally, as the big blue Think Coffee sign stands out against the apartments of Mercer Street. 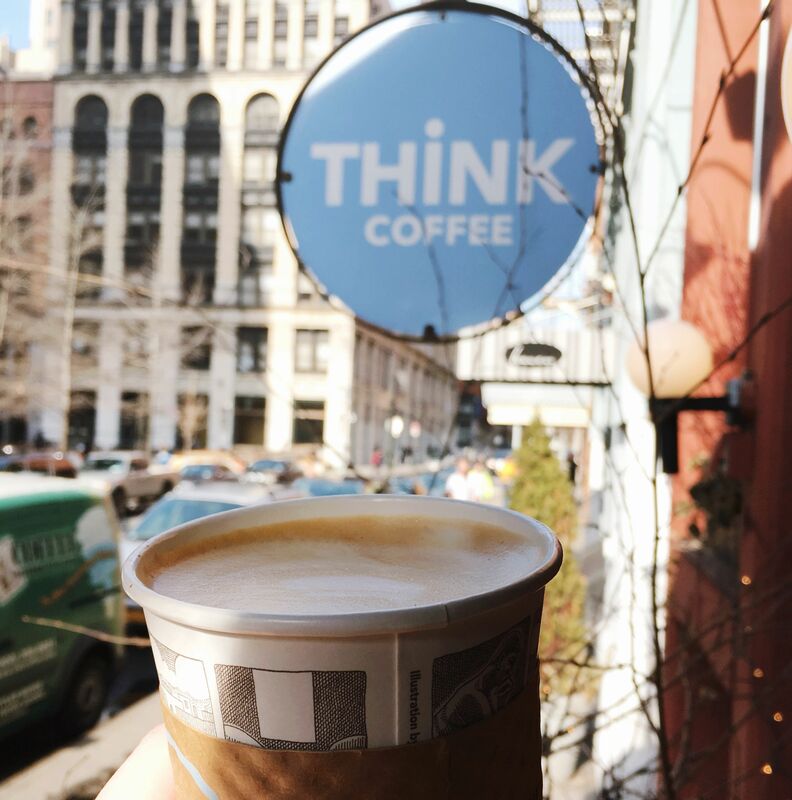 If you are going to try one thing from Think Coffee, let it be the Spanish Latte, (with sweet condensed milk) and suddenly your walk to your 8am might not seem as bad. Though you would be forgiven for initially thinking that there are no differences between the American and Australian coffee scene, Melbourne inspired collective café Bluestone Lane on Greenwich Ave suggests otherwise. 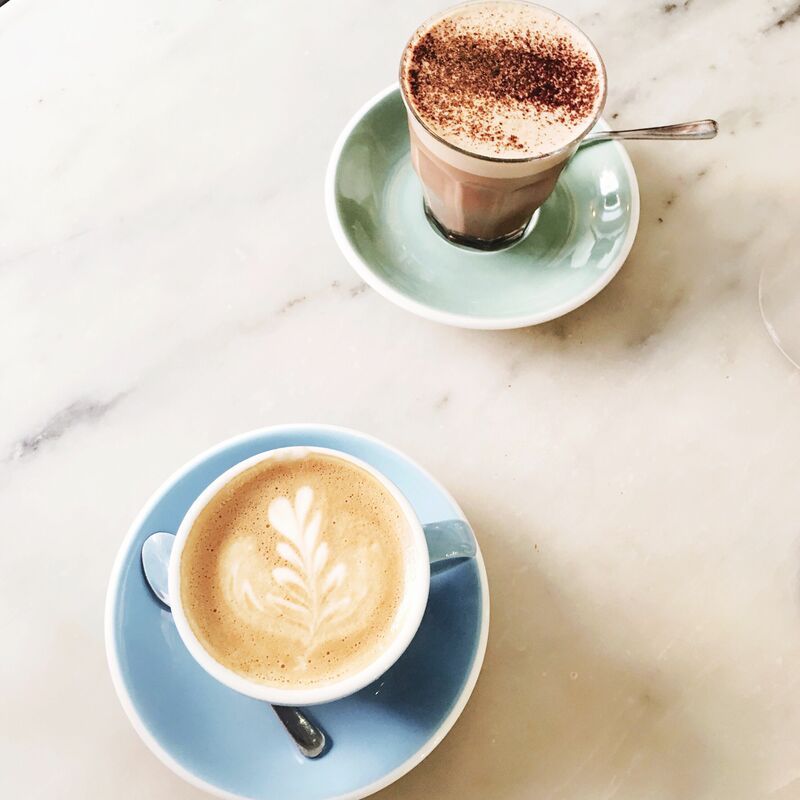 With an all-day brunch menu to pick you up after a night at Phebe's, and some of the best coffee art in the city for your Instagram, this is an Australian coffee experience which is unlike any other in the village. 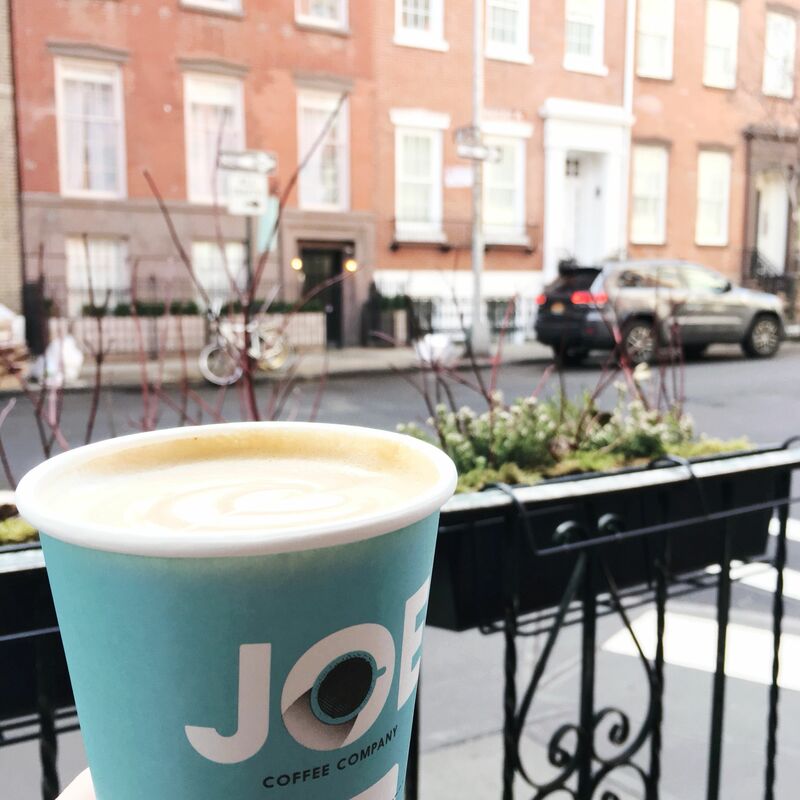 A perfectly smooth chai latte from the Joe Coffee Company can be found on the quiet corner of Waverly Place, in the very heart of New York's bohemian neighbourhood, making it is the perfect place to write in peace when you can't find a seat in Elmer Holmes. 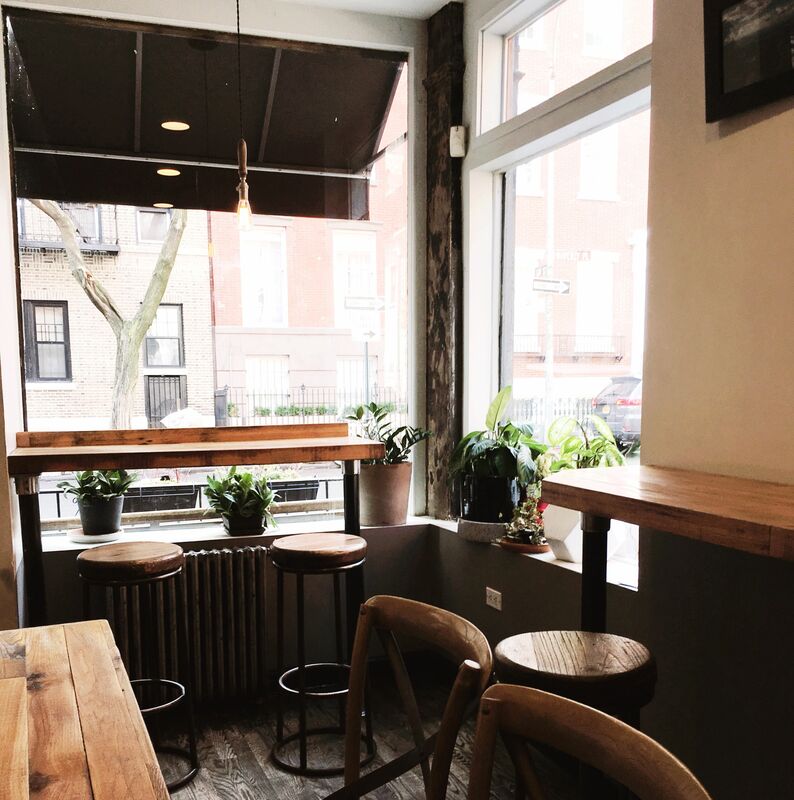 The Uncommons certainly lives up to its name, and its place in the most vibrant neighbourhood in New York, as this coffee shop experience is unlike any other. If you are someone who has had the desire to play Cluedo while sipping on your latte, this is the perfect spot for you, with hundreds of board games to accompany your coffee needs. The Uncommons also sells various beers and even pizza, which means there is more to this coffee shop than just coffee. The minimalism of Prodigy Coffee is a favorite with bloggers, and has a reputation for serving coffee which is sourced all around the world. So now it is only right that you pay a visit to see it for yourself. 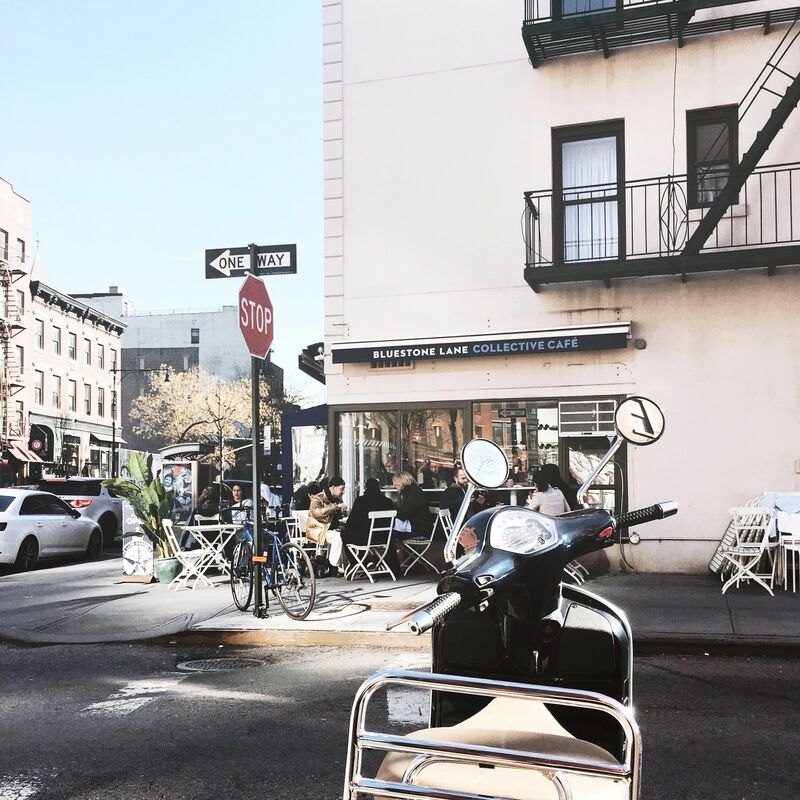 Next time you're around Carmine Street, give the hot chocolate a try and then, even when summer arrives in the village, you'll be going back for more.